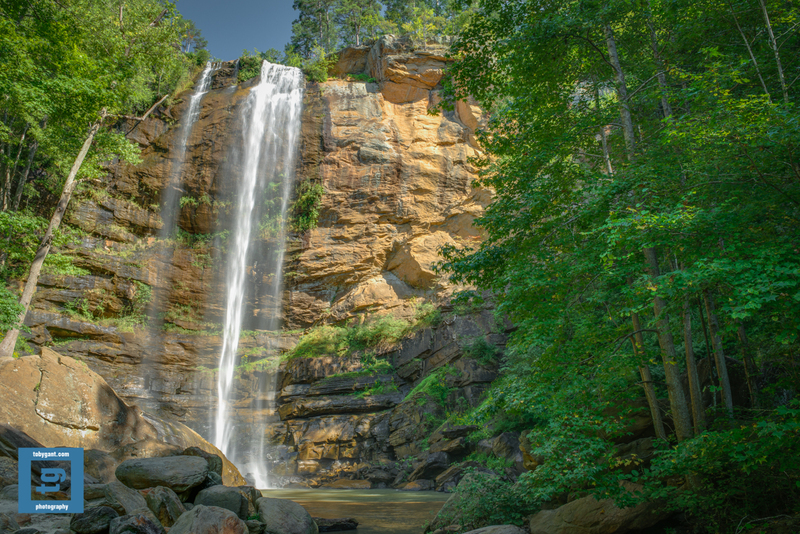 This entry was posted in Adventure, Fine Art, Fine Art Photography, Nature, Photography and tagged explore, fine art, Georgia, hotography, landscape, outdoors, Toby Gant, waterfall by tobygant. Bookmark the permalink. It’s still a beautiful photo, and the falls are lovely! If you are ever out hiking in Oregon, be sure to visit Multnomah Falls, about 30 minutes east of Portland in the Mount Hood/Columbia Gorge area. It is on my list. I plan to spend several days in the area when I go. There is so much to see there. What a lovely shot…the colours are pure summer. How strange to me that these falls are behind closed doors…. It really seems a shame to me. It would be wonderful to shoot these falls in the blue or golden hours. Good point, Diana. I adjusted my white balance on the original captures before processing them. So, the colors should be accurate. The middle of the day is not so great to take pics of mountains if the wun washes out all the interesting details! Am happy you got some this back with this attempt – a beautiful waterfall! Nice shot. Looks beautiful. Have you worked with ND filters here? I did use one my previous visit. But, my split ND is a 3 stop and there was a 10 stop difference in the lighting both times of day. Thanks for the suggestion. good to ave you dropping by again recently and the many likes! much appreciated. i just got myself a set of CP and 3-stop ND filters recently, now just need to identify a couple of nice local waterfalls to shoot then with. cheers! I can’t wait to see your captures! Thanks for the kind words, Crystal.